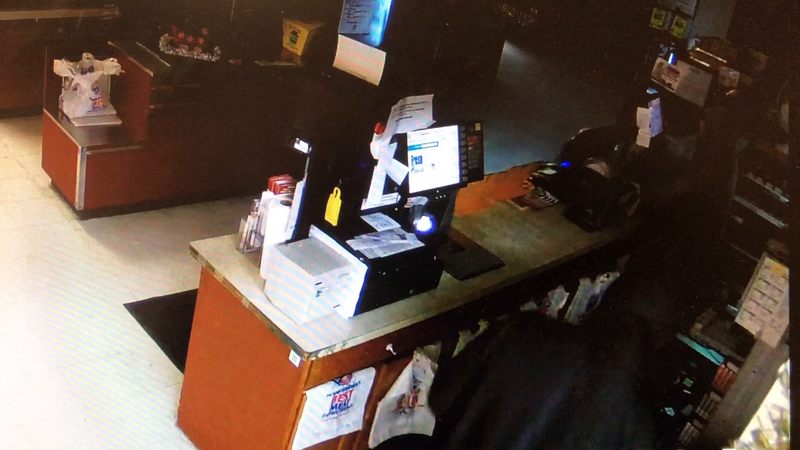 Two robberies and a burglary that happened Sunday evening into early Monday along Union Street likely are connected, according to the Middletown Police Department. Middletown police need help in identifying this suspect in two robberies and a burglary Dec. 17-18. This photo taken from video shows the suspects outside the back of the store. Police need the help of residents with tips in identification of the suspects, who were caught on video at Karns, which was robbed early Monday. A $500 reward is being offered for any information leading to the arrest of a suspect or suspects. Call the Middletown Police Department at 717-558-6900 with information. Officer Mark Laudenslager said while residents don’t need to be overly nervous, they should be aware of their surroundings, and use extra caution and their best judgment. Call police immediately if suspicious activity is suspected. “It’s definitely unusual,” he said, of the clustering of the crimes in a short time period. He said Tuesday morning that tips are coming in, and residents should call with any detail of the crimes, no matter how small. A total of three suspects are being sought. There were no weapons used, police said. At about 6:45 p.m. Sunday, a black man approached a man exiting his vehicle in the 200 block of North Union Street. The man demanded money. The suspect is believed to be 20 to 30 years old, and he was wearing all black clothing. Nothing was taken in that incident. At about 12:54 a.m. Monday, a burglary occurred at the Middletown Karns, 101 S. Union St. Glass doors were broken to gain entry. A large amount of cigarettes were taken, but police are not releasing how many or how much they are worth. The black suspect again is wearing all black clothing, including a bulky coat (goose-down style). He appears to have a large nose, which may be discolored, according to police. He is about 5 feet 8 inches tall and wearing a red bandana around his neck. The two white men appear to be of slender build. One appears to be wearing a gray sweatshirt. The last robbery occurred at about 5:24 a.m. Monday, in the 400 block of North Union Street. A woman was attempting to get in her car when a black man approached and stopped her from closing the car door. The suspect demanded the victim’s purse, which he then took. There was a young girl in the car when this occurred. Police believe the crimes are related because the black suspect in each is the same person, based on clothing descriptions and identification via photos by the victims. Officers said at this point that they don’t believe the Karns burglary early Monday is tied to the Karns burglary in June. Overnight June 25 into June 26, Karns and J&J Pizzeria and Grille, 288 E. Main St., were robbed. No arrests have been made in those crimes. Police said at that time there were two persons of interest. In the June Karns robbery, $2,000 worth of cigarettes was the only item stolen. There was about $5,000 worth of damage at the store, including several doors near the parking lot and several cash registers. A Karns manager said in June that the store would look to update its security system after that incident. Nothing was taken at J&J’s in June, but there was about $2,000 worth of damage. Police also don’t believe these crimes are connected to another crime that happened near Karns, which occurred in broad daylight behind M&T Bank at 120 S. Union St. on Nov. 4. A manager of a Turkey Hill convenience store in Highspire was walking up to the rear entrance to the bank to make a deposit. A man approached the woman from behind, grabbed her by the shoulder, and took from her the deposit bag containing $12,000 cash.